6.) Many community members have said that the strong 0.0 message of the elected CSM members, including yourself, is bad for the future of EVE. How do you respond to such accusations? Two things. First, the ‘community’ in the context of sites like Eve Report means ‘the eve blog community and #tweetfleet’, which is a niche of the game’s population with an unfortunate tendency to assume that their echo chamber actually represents /everyone/, rather than people who blog about a space game – and eve bloggers don’t seem to have much to do with nullsec. Wow, how much wrong can you fit into one answer? First off, let's acknowledge what is right in this statement. If we assume a ratio of 3.6 accounts to actual human beings, that is still 100,000 people playing Eve. 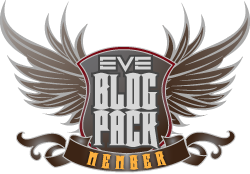 According to Eveblogger.com 's list, there are 587 eve blogs and maybe a few more not on there to make it an even 600. How many on twitter not a blogger? Say another 200. And another 1200 people who are readers of blogs but not bloggers themselves (and that is a generous number in my opinion) and we'll use 2000 people who blog/read blogs and/or use twitter. That's approximately 2% of my estimated number of Eve players. So yes, we are a niche of the game's population, if by niche you mean tiny minuscule fraction of the people logging in every day. I think we are growing as a niche (reference new blogs started by Seleene and Ripard Teg) and will be more influential as time goes on with the ear of CCP in a unique fashion, but that is another blog post for another day. I'm also ignoring the podcast listener which is a larger group due to the ease of listening to podcasts while doing other things. So, we covered what Mittens got right. Everything else is wrong. The "community" referenced by the Eve Report interviewer is conveniently defined by the questioner to a group he feels he can brush off easily, but any other definition of the Eve community includes podcasts, forums, in game channels, news sites, and radio stations as well as blogs and twitter. That "community" encases a significant amount of the eve population that is not so easily dismissed. This is called "changing the question". Next, he calls the blogs and twitter an "echo chamber". Of course, should he spend any real time reading blogs and twitter he would quickly realize the diverse nature of the community represented leads to many disagreements and discussions that do not meet resolution, either about the nature of a ship fitting, the power of a particular class, or the effects of a large coalition or mechanics change. We are not some uniform blob praising the attributes of CSM5 in relgious fervor. However, its easier to dismiss any dissenting opinion of the "community" if we're treated like sock puppets of a few. If there is any echo chamber to watch out for, its CSM6 with its "working towards unified front" and made up of all null sec residents. That's just off the top of my head. I think, in fact, if you went through and divided the 600 eve blogs by where their author currently lives, you would find the ratios would match to the population distribution of Eve players pretty closely. Just a hunch. However, its much easier to dismiss bloggers if you lump them up as low sec pirates or high sec carebears who don't know how the real game works in null sec. To be fair, I'm not convinced this was a calculated attempt to brush off all opinion of bloggers and twitter users. I suspect its a case of confirmation bias in such that he looks at the "community" and its average opinion and sees that it disagrees with his version of reality, thus he subconsciously dismisses them due to reasons he stated and any evidence that supports his opinion gets noticed and any that disproves it gets disregarded. This is a common occurrence in politics, religion, science, hell everywhere. Of course, one has to be careful about delving the motivations of anyone as good at the metagame as Mittens is. As for CSM6, I think he is going to be an excellent chair and that the council as a whole will accomplish much in their term. 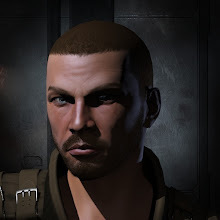 I am worried that CCP might turtle up if they go in to gangbusters, but I'm optimistic that a null sec leader with accolades and accomplishments such as the head of Goonswarm can boast will know when its time for diplomacy and when its time for slapping heads. As a nullsec resident whose blog holds forth neigh incessantly on nullsec, I must, for a second time, say "piffle" to the Mittani. Perhaps if he read more than his own forum posts and monthly column he'd be better informed viz the demographic composition of the Eve blogosphere. Here, here and well said as usual. It has been my experience that the blog community fairly represents the actual Eve community, which if one stops and thinks about it for more than a mere second, makes perfect sense. Plus I don't appreciate the zero space, low-sec, WH, Indy divisions to be honest, I much prefer the attitude that we all play Eve. The rest is just others trying to divide and define. If you want confirmation bias, consider that what you've chosen to read reflects your attitude towards the game. And there are fights in null-sec that involve more pilots than there are EVE blogs, which can only confirm our niche status. Where Mittani errs is in failing to see the same argument he uses can be turned right back on him. There is no way the handful of CSM members can adequately represent the entire EVE community any more than the blogs he dismisses can. In that respect, it seems perfectly fair to be concerned about the null-sec bias that may be present in future discussions in shaping the game. It was suggested by Cailais on his blog The Hydrostatic Capsule (http://cailais.wordpress.com/2011/04/05/is-mittens-real/) that "In fact it goes to the heart of what The Mitanni’s nature is – a political creature who would quite naturally (and sensibly) seek to neutralise or reject those who might comment against him." (see the comments to the post). So he marginalizes the bloggers and tweeters as a convenient way to dismiss their criticisms of him. It's funny he calls the bloggers and tweeters a niche of the game's population. He's not coming from a strong position. According to QEN for Q4 2010 (http://cdn1.eveonline.com/community/QEN/QEN_Q4-2010.pdf), only 11.26% of characters live in null sec, which is unlikely to be significantly different if you translate that to subscriptions or players. According to CCP (http://www.eveonline.com/devblog.asp?a=blog&bid=886) only 14.25% of eligible voters voted. The 9 elected council members represent only 8% of eligible voters, and The Mittani only 1.6%. According the the QEN, 79.61% of players live in high sec. No matter how you cut it, that's a significant majority of subscriptions, and thus a significant majority of money, coming from high sec players. CCP is a business, so it's all about money, so unless the CSM recognizes this reality, they will become as irrelevant to CCP as bloggers and tweeters are to The Mittani. I don't get a sense that The Mittani recognizes just how small a portion of what matters most to CCP (dollars) he represents. 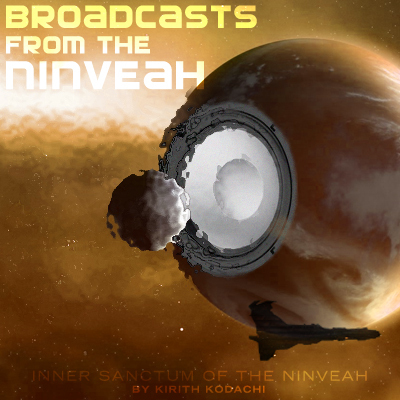 On his campaign site (http://themittani.org/) he talks about representing the player base, but this council doesn't do that - it represents the null sec base. He admits "In the broader race, nullsec candidates swept the Council ... Only Meissa and Trebor aren’t directly backed by a nullsec bloc, and the first three alternates - Elise (PL), Krutoj (DRF), and Prometheus (PL) are also bloc candidates." (http://www.tentonhammer.com/node/97021/page/2). While the sheer numbers suggest that null sec and the CSM members originating from it are unimportant to CCP in the grand scheme of money, you have to remember that a lot of the loyal fanbase and good publicity for Eve and CCP come from the events of the players in null sec and to a smaller degree low sec and wormhole space. Also, CCP probably realizes that almost every null sec pilot is supported by one or two high sec alts for hauling/trading/research/datacore farming/etc so that the high numbers of high sec pilots could be significantly lower and counted as null sec dollars. Total conjecture though. First off, thanks to all the bloggers out there for writing about the game we all play. I am a total carebear when it comes to eve. I am not concerned about the whole CSM6 being null sec residents. CCP being a business most likely has a plan and set agenda for the next year and years to come. The CSM can push and plead all they want but I don't think they will ever change CCP plans for the next year. I do not see the CSM causing major changes to game in the year they are in office. Low hanging fruit will be accomplished not much more. That being said the pushing any CSM does the year they are in office may come to play in a couple years after they leave office. It's not that null sec is unimportant to CCP. I think they've shown that they think it's an important *part* of Eve, but it's not likely to have the priority the null sec players would like due to where the money comes from. And due to the focus on Incarna, which is about where the money will come from. CCP won't give the CSM much respect if they don't recognize this and act accordingly. If the CSM can keep the business drivers in mind and use them to their advantage, they'll be farther ahead. I'm just not seeing much evidence that this is recognized, at least by the chair in his recent writings. I'll grant that publicity comes from null sec activities. Incarna may influence that. We'll see. But how to measure the loyalty of the fan base? Is fan loyalty is stronger in null sec than elsewhere? I see more bitter vet talk from null sec, but that's entirely subjective on my part. Re the numbers, I considered the issue of null sec players having high sec alts. But, there are more than 7 times more high sec characters than null sec characters, according to the QEN. No matter how I account for alts (making *reasonable* assumptions), I still wind up with a substantial majority of subscriptions in high sec. I would also like to point out something that everyone has overlooked. That is the shear power that the blogging community has. Sure maybe there are only a handful of EVE blogs in comparison to EVE players, but the visitors to our blogs are what makes us a group that worries the Mittani, and that is why he attacks us to discredit us. Just from reading the posts surrounding the CSM election I have to disagree with your disagreement. In relation to mittens something like 90% of the posts were people fainting and clutching their pearls about a ~goon~ being chairman. Half of them them thought he was in it to ruin the game. Most of them still think he's going to create drama and get nothing done. What I have learned during this election is that the community is almost completely nullsec illiterate, and pretty bad at reasoning to boot. Sure.. While i feel that the mittani may be sort of good.. Not sure... But you know.. thats life... I do agree that this comment from him was just stupid. I find being a sovereign nulsec pilot who blogs and is on tweetfleet that I'm definitely on the outs from the mainstream. I think it's a fair cop on behalf of the Mittani. In particular, the blogerati have produced more than their fair share of hysterical commentary on the likely results of the new CSM. While I grant that there has been a certain amount of wailing and gnashing of teeth over the null sec bloc led by Mittens being voted into the CSM, that is not unique to the bloggers+tweeters nor has it been universal to a large degree that many seem to think. Almost every seasoned nullsec pilot in my corp has significant Empire activities going on in addition to their PVP focused main with trade, shipping, missioning, and industry alts. The advantage of having nullsec pilots on the CSM, is that they also understand 0.0. It is not a black and white, us vs. them situation. The Goonphobia whining is entertaining from a "tears" perspective, but will likely deflate when people realize that highly competent individuals have been placed on the current CSM. The Mittani was very justified in gauging the "power" of bloggers and tweeters as insignificant being that those candidates backed by bloggers and tweeters couldn't even score a seat as an alternate. People need to relax and see what happens. The rhetoric of a political campaign usually doesn't reflect the reality of how the person performs in the job. I have seen The Mittani grandstanding for attention and I have noticed more practical statements like [paraphrased], Our job on CSM is to identify the limits of what CCP as a business will allow and present a focused set of workable ideas. His political persona is flamboyant...his working persona seems practical. I haven't heard him dismiss any lowsec, hisec, or nullsec problems as being undeserving of the CSM's or CCP's attention. Maybe people should wait until the first meeting before they start concluding what will happen.